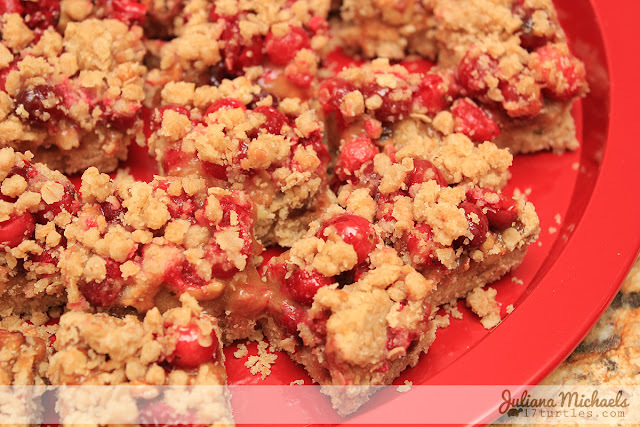 It's Christmas time and that means one thing around my house...Cranberry Caramel Date Bars have to be made! I started making these years ago after getting the recipe from a fellow co-worker. The first time I made them for my family they were such a hit that I had requests to make them again the next year. In fact when Christmas got close they started asking for them. 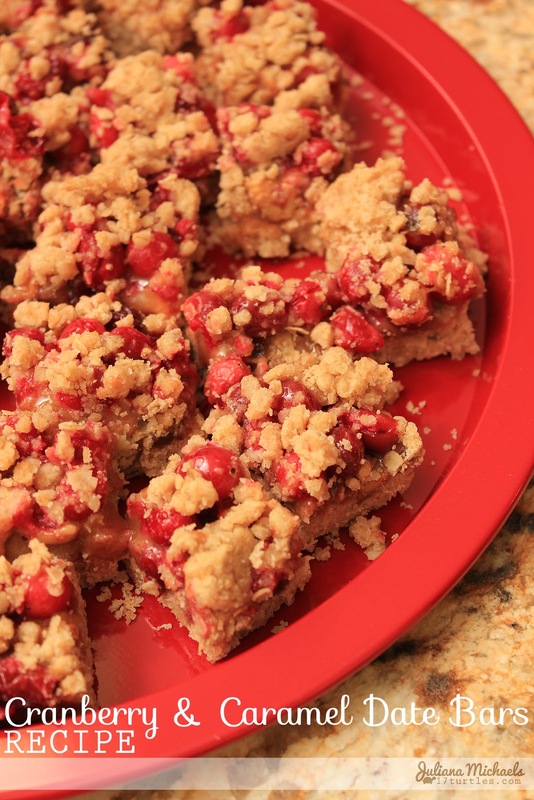 I have since made it a Christmas time tradition to make these yummy and easy to bake bars. This year was no exception and when I took them to a Christmas party this past weekend, I got requests for the recipe, so I thought I would share it with you today! 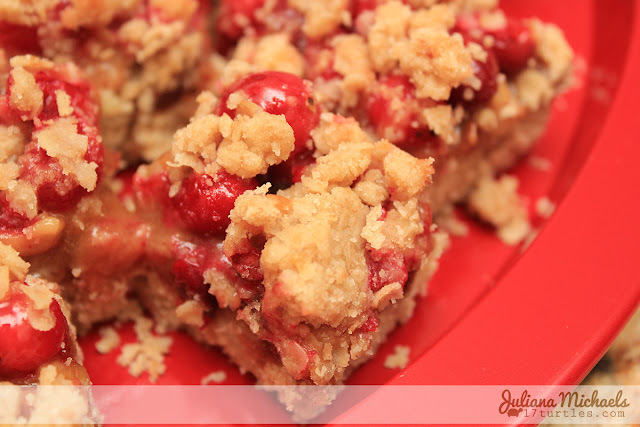 My favorite part about these bars are the fresh cranberries. When you take a bite, they pop and their yummy juices burst into your mouth! Heat oven to 350 degrees. Combine cranberries and 2 Tbsp sugar; set aside. In bowl combine 2 cups flour, oats, sugar, brown sugar and baking soda. Add margarine and mix well. Reserve 1 cup of this mixture. Press remainder firmly on the bottom of a 13 x 9 pan. Bake 15 minutes until slightly golden. Sprinkle dates, walnuts and cranberry mixture over the crust. Mix caramel topping with 1/3 cup flour. Spread over the top. Top with reserved crumb mixture. Bake 20 minutes or until light brown. Do you have a holiday or Christmas recipe that you make every year? I'd love to see your recipe! Oh my do these look delicious!